Movement Day 2 was a ton of fun and was filled with so many amazing musical moments. 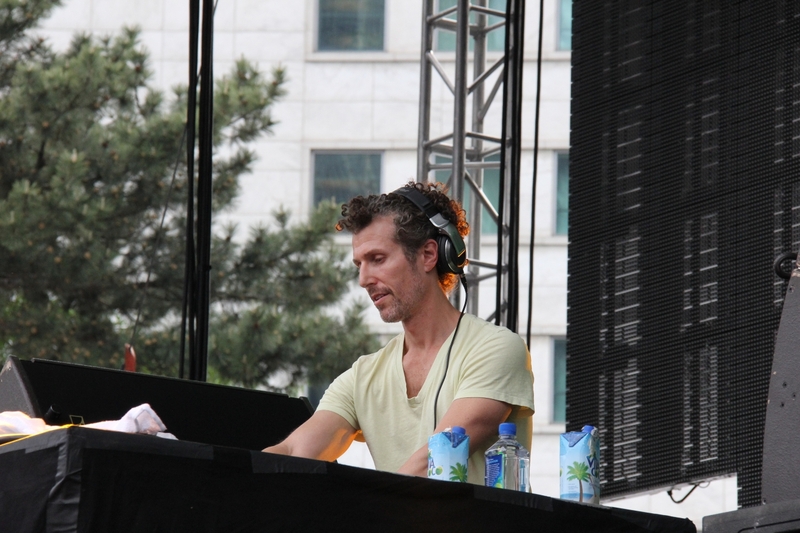 The fun for us began when we met up with our Philly buddy Josh Wink at the main stage at 6 pm. 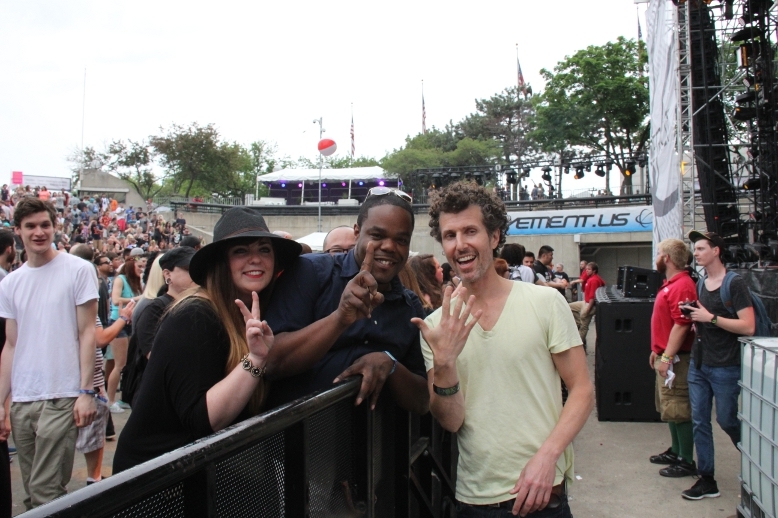 Above, we’ve got DJ friends Jackie Gallagher and Tommy Hogunz posing “215” with Josh – always gotta represent! 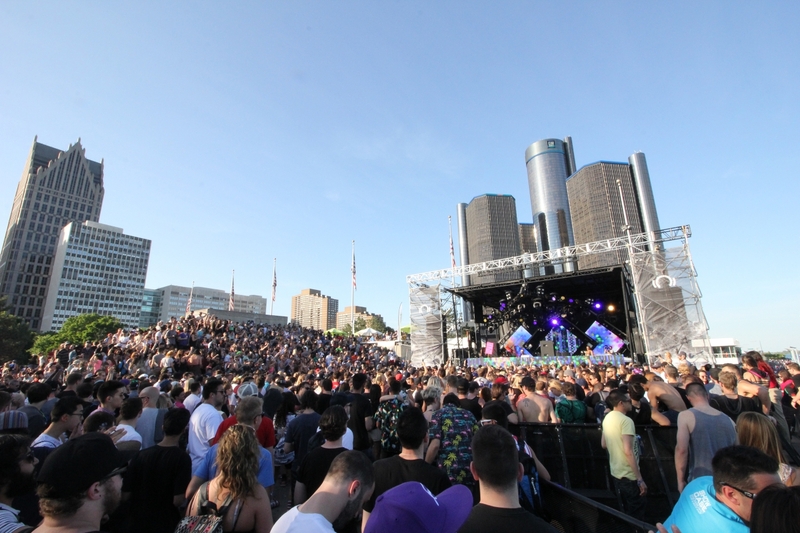 Josh had the eager Detroit crowd in an afternoon fit, working through a feverish medley of songs from his catalog, including “Don’t Laugh”, “Are You There” (Ben Klock’s Remix), his newest track “Denial” (which Dixon played the day before, also on the main stage), a different (perhaps forthcoming!?) mix of “Talking To You”, then closed out with a heavy remix of “Higher State of Consciousness”. Up next were Art Department, making one of their last ever appearances together after announcing their split a month or so back. 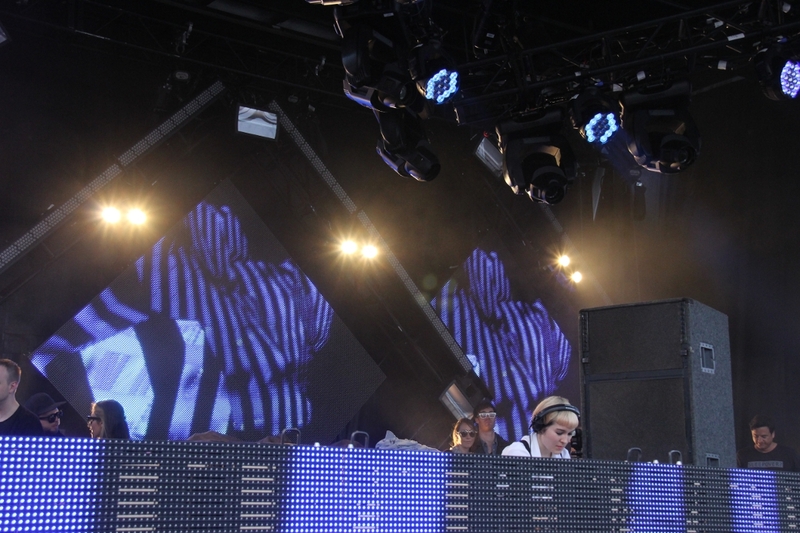 We hopped over to the Beatport stage for some some gorgeous scenery and gorgeous music from Maya Jane Coles. 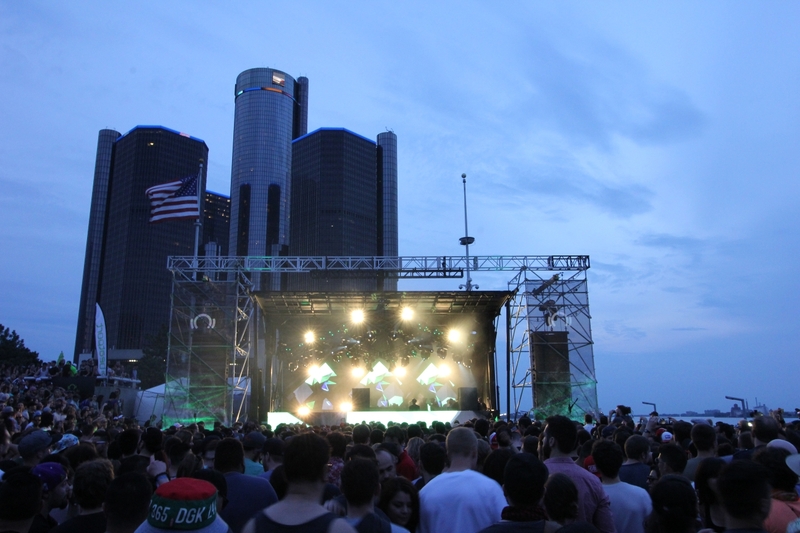 With the GM building as a backdrop and the Detroit River looking over to Windsor, Ontario, the “Pyramid” stage as Movement veterans call it, was an amazing place to take in some of the finest music of the day. Maya peppered the crowd with a melodic and smooth mix of bass-loaded jams. 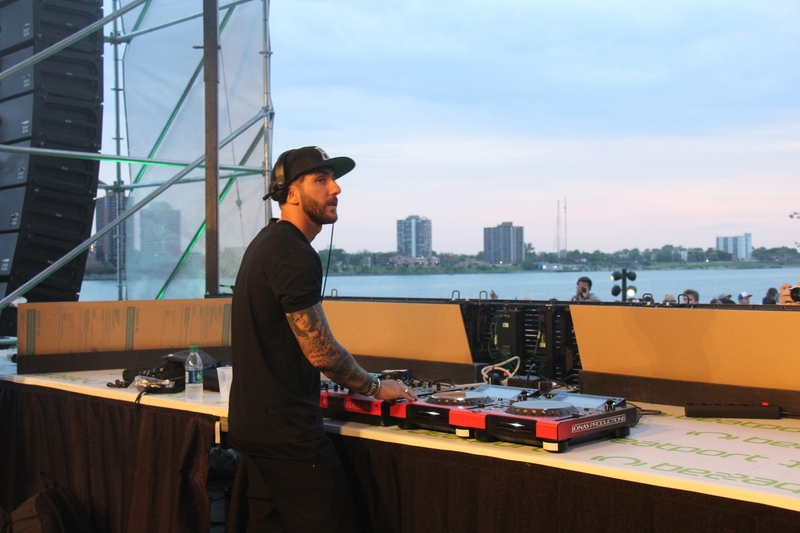 Knee Deep In Sound boss Hot Since 82 took the decks next and continued to build the energy in the crowd, playing as the sun set over Hart Plaza. 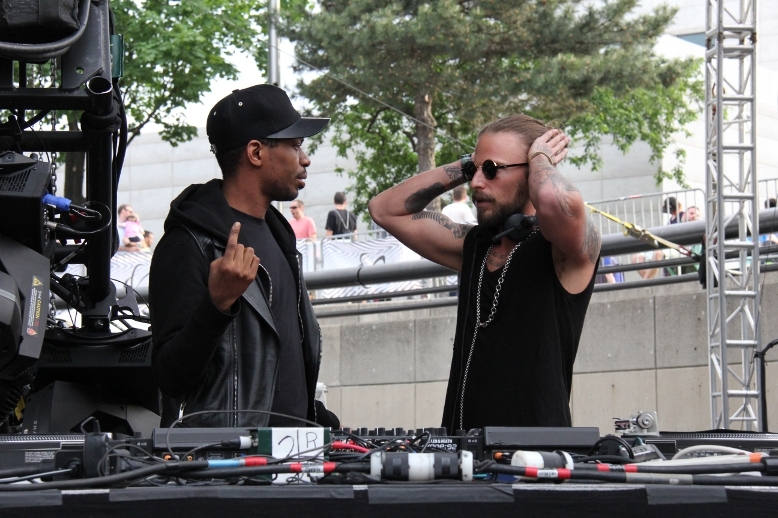 Evening vibes at the Beatport Stage. 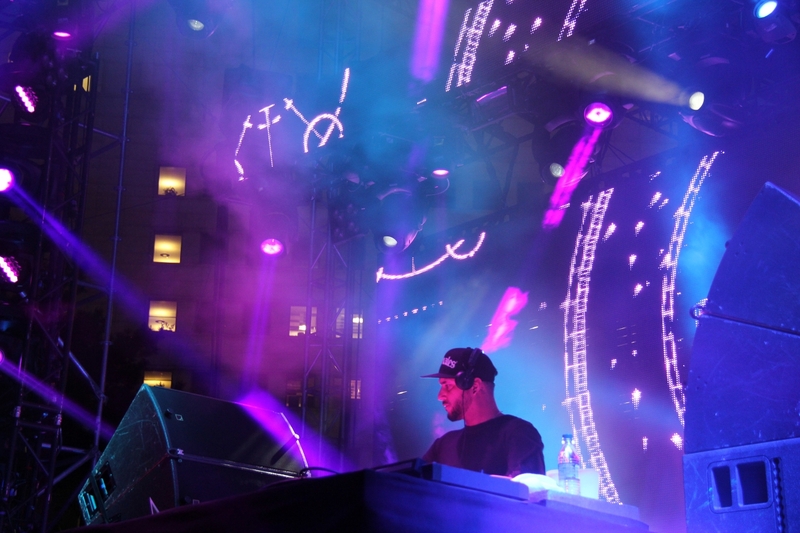 Loco Dice rocking the main stage as the night gets thick! Kimyon at the Red Bull Music Academy stage representing the Metroplex 30 year anniversary showcase. 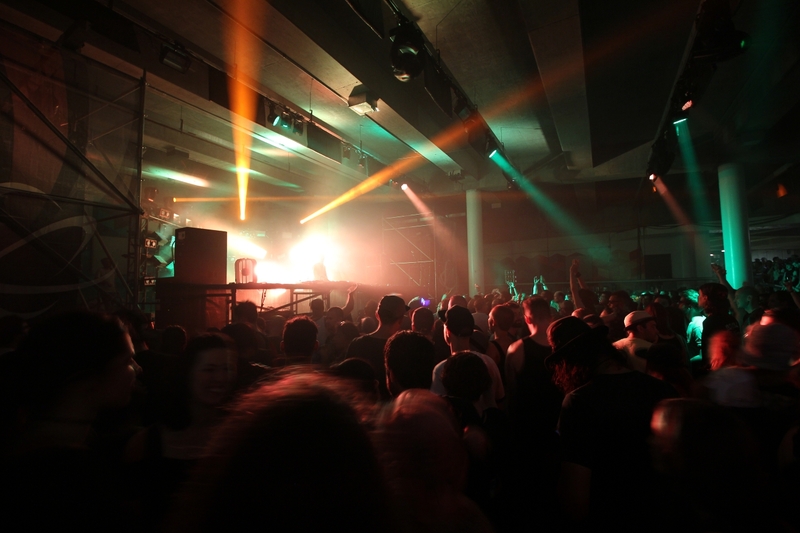 We headed down beneath to the Underground stage for some heavy Berlin techno as Marcel Dettmann devastated the crowd with a set of forceful and throbbing techno. The Underground stage is loud and fun and feels like an actual club, more on this stage later! 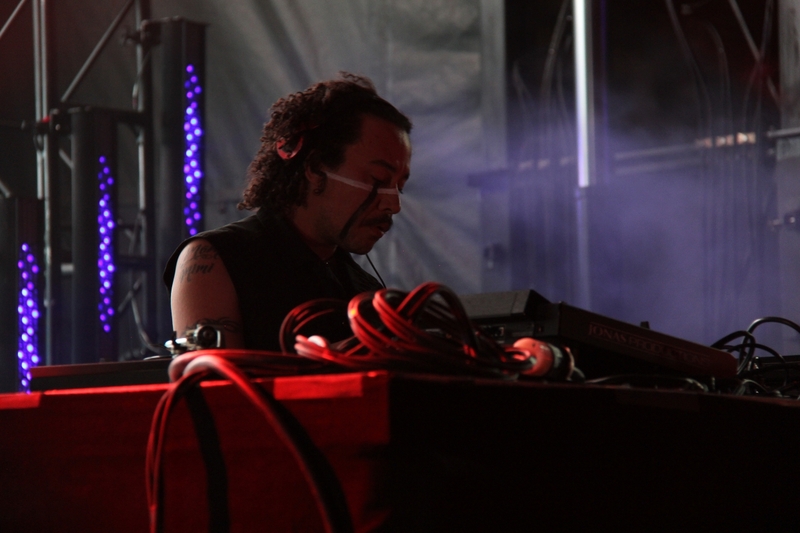 Ghostly boss Matthew Dear closing out an entire day of Ghostly artists at the THUMP stage. 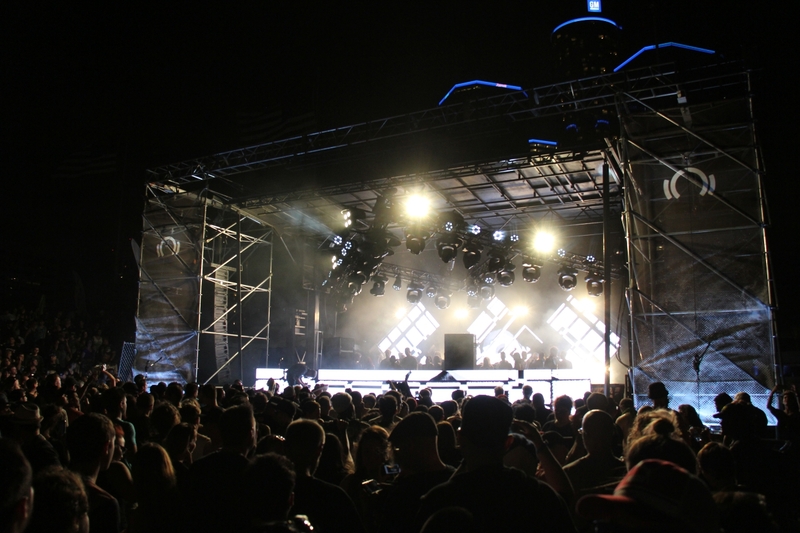 Joseph Capriati closing out the Beatport stage with some glowing music. 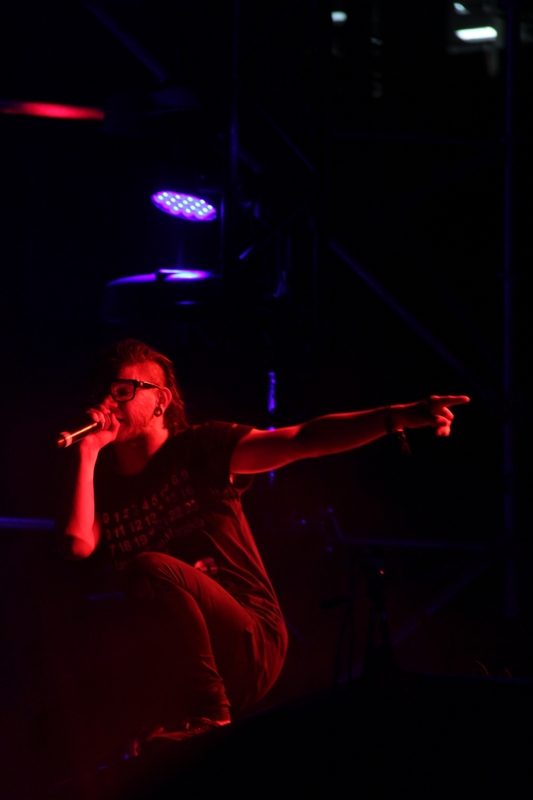 Dog Blood, comprised of Skrillex and Boys Noize, was a highly anticipated set for many, and there was a hype around the main stage as the two heavy hitters took the decks and delivered a bombastic mix of thrashing techno and hip-hop tinged club beats. 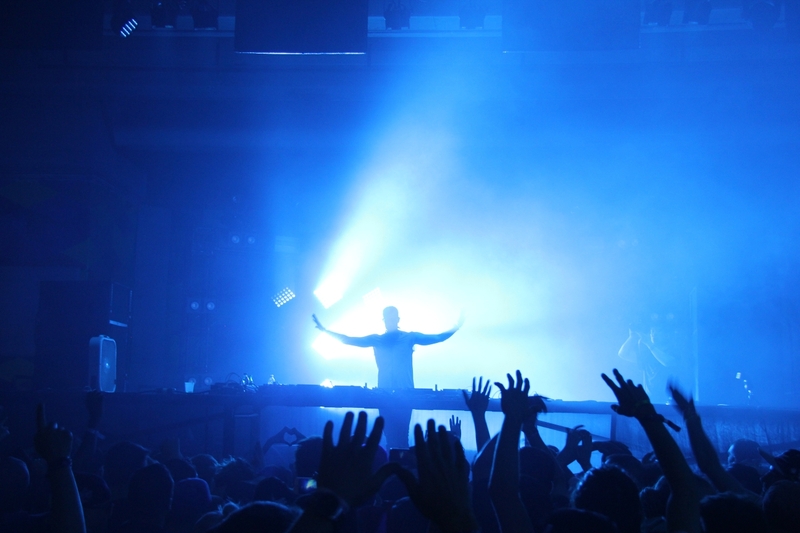 After the magic of the Underground Stage earlier, we had to head back to check out Ben Klock close out the stage, who somehow managed to maintain the amazing energy from his Berlin colleague Dettmann. 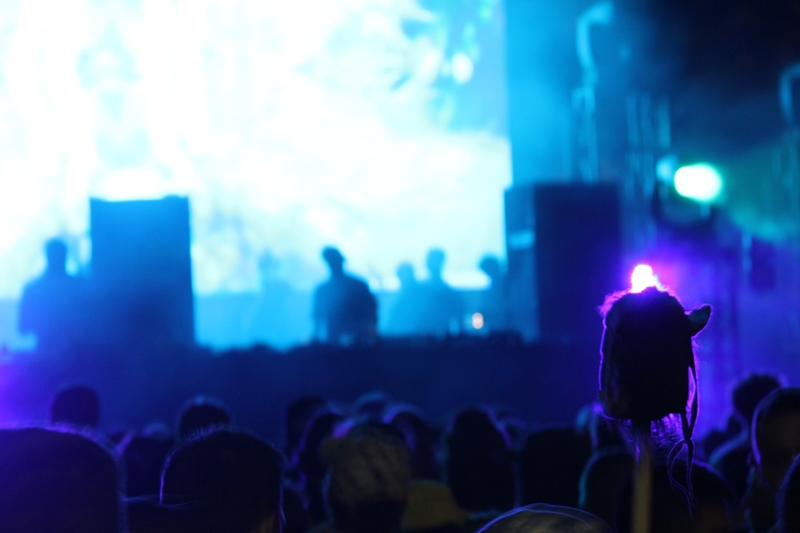 Movement day two was magical – we met so many awesome people and saw so much awesome music. Let’s close out strong for day three! WKDU Philadelphia is Drexel University’s free-format, non-commercial, student run radio station. Keep an eye out on our twitter, @wkdu, for the latest on Movement!